Drive away with just £1 to pay. 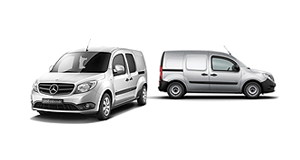 Vito 111 CDI Long Panel van, £269.99 Per Month with a £1 advance monthly rental. Terms and conditions apply, Business users only. 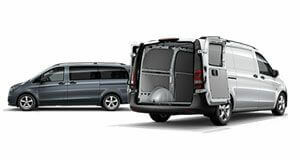 Genuine Mercedes-Benz van parts to fit the Sprinter, Vito and Citan ranges. Our fleet management packages cover every aspect of fleet management to ensure the safe and legal operation of your fleet. 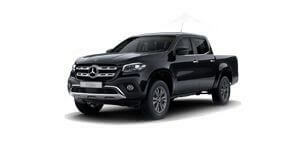 Award winning Mercedes-Benz dealer, Northside Truck & Van offer the sale, service and repair of the entire Mercedes-Benz commercial vehicle range, New & used. Sales, Service or Support? Northside Truck and Van have a range of exciting roles and apprenticeships available throughout Yorkshire and Lincolnshire. Northside Truck & Van supply Mercedes-Benz truck & vans for sale, repair and maintenance of new and used Mercedes-Benz commercial vehicles and with 6 of our 7 depots now open 24hours; offering sales, parts, services and repairs in order to keep your business running. 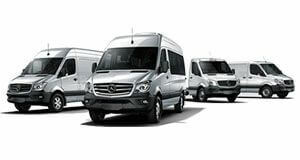 Our stock holds new & used Sprinter, Citan and Vito vans for sale as well as a range of Mercedes-Benz trucks. Northside Truck & Van operate out of Yorkshire and Lincolnshire with dealerships found in Bradford, Doncaster, Hull, Immingham, Leeds, Sheffield and York. Financial services and packages are available to support vehicle hire and sale purchases as well as use of after sales services.